Hey Miller students…. do you want to be on TV? 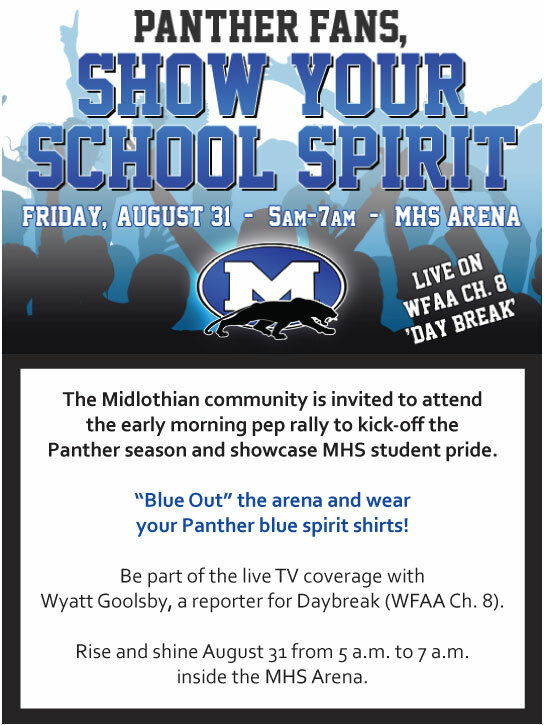 Rise and shine early this Friday morning from 5am-7am and attend the WFAA, channel 8 Panther pep rally in the MHS Arena! “Blue Out” the arena and wear your Panther blue spirit shirts! This entry was posted in Personal Reflections and tagged MISD panthers. Bookmark the permalink.